CHRI – The mother of Saeed Malekpour, a Canadian resident imprisoned in Iran since 2008, sent a letter to Tehran Prosecutor Abbas Jafari Dolatabadi on February 1, 2019, requesting that Malekpour be included in a mass pardon of prisoners that may happen in March. “Whatever crime he may have committed… ten years is enough,” she said. Arrested in 2008 by agents of the Islamic Revolutionary Guard Corps (IRGC) during a visit to Iran in 2008, Malekpour is serving a life sentence for allegedly creating an online pornographic network. The 43-year-old computer programmer and web developer was charged with “insulting the sacred” and sentenced to death by a Revolutionary Court in September 2010. Upon appeal the sentence was commuted to life imprisonment in August 2013. On February 4, 2019, Judiciary Chief Sadegh Larijani confirmed earlier reports of a general amnesty and said Supreme Leader Ali Khamenei would pardon 50,000 prisoners on February 11 in commemoration of the 40th anniversary of the country’s 1979 Islamic Revolution. On October 19, 2018, Malekpour was rushed from Tehran’s Evin Prison to a hospital after experiencing what was “later diagnosed by hospital staff as a heart attack,” his sister, Maryam Malekpour, told the Center for Human Rights in Iran (CHRI) at the time. 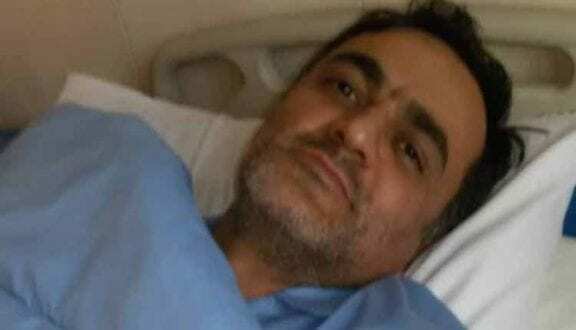 “Saeed Malekpour has already spent the prime of his life in an Iranian prison where he has developed serious medical issues,” said CHRI’s Executive Director Hadi Ghaemi in an October 2018 press release. “This peaceful, young man should be immediately released so that his medical problems can be addressed,” said Ghaemi.